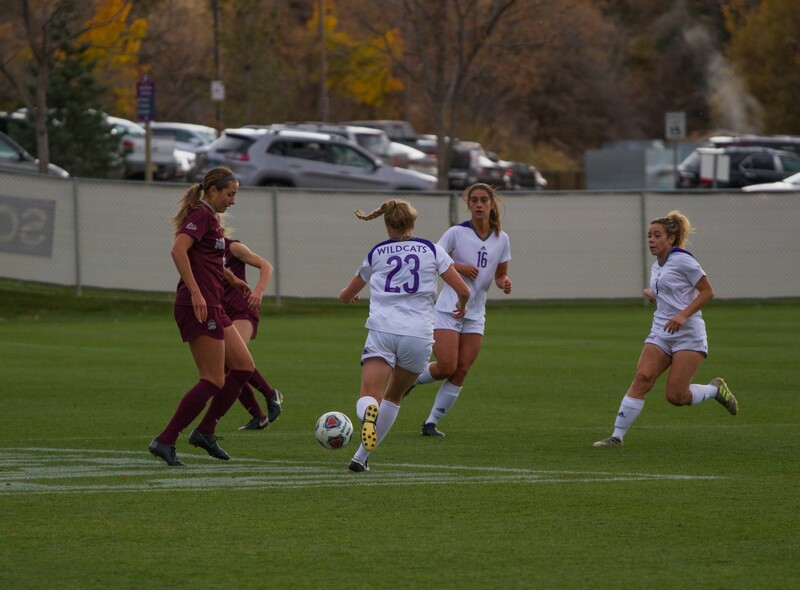 The Weber State University women’s soccer team cruised through Big Sky Conference opponents in the regular season, as they lost only one game. However, the conference tournament was a different story. 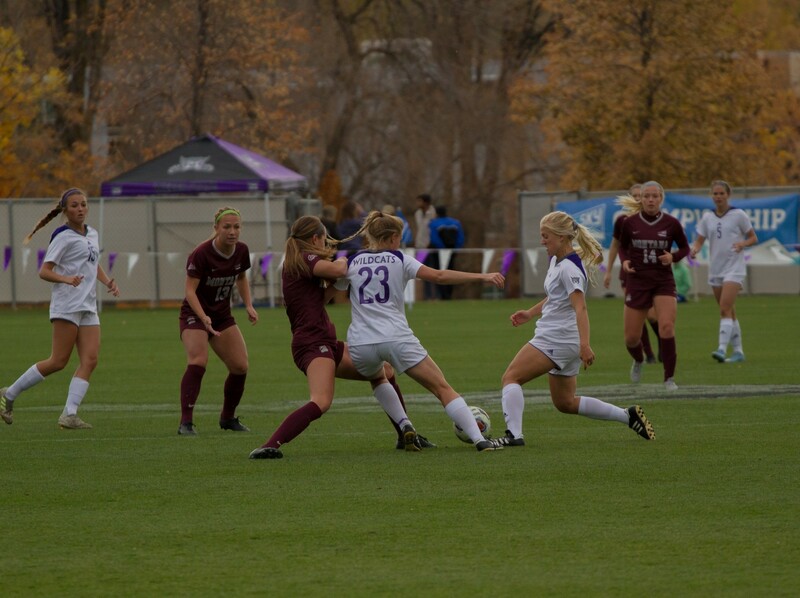 The University of Montana Grizzlies handed the Wildcats a season-ending 2–0 defeat on Nov. 2 in the conference semifinals at the Wildcat Soccer Field. The Wildcats earned a first-round bye by virtue of their first-place finish in conference play during the regular season. WSU came in to the contest with an overall record of 9–4–4 and a 7–1–1 mark against Big Sky foes. 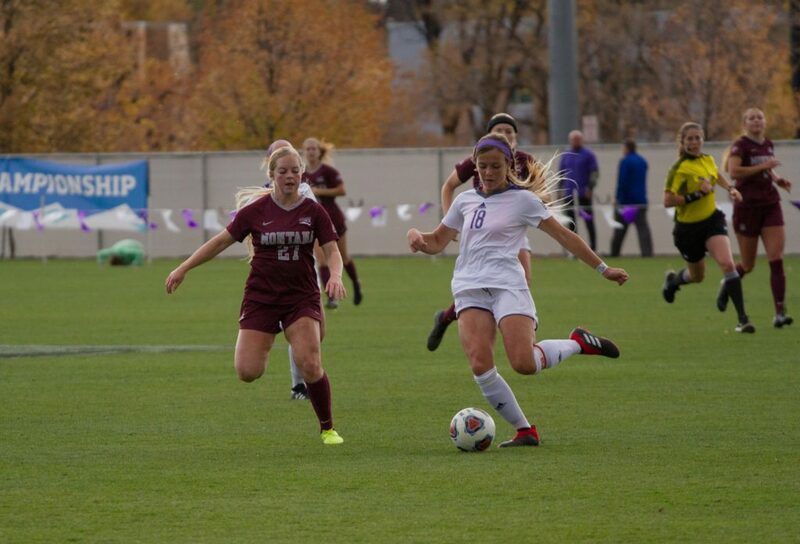 Weber State had defeated Montana 2–1 on Oct. 7 at home in the previous matchup between the teams. On an afternoon where the temperature hovered in the high-50s with low winds, the ‘Cats and fifth-seeded Grizzlies kicked off their rematch with hopes of advancing to the championship game on Sunday. Unlike their first game, the Wildcats found themselves in trouble early. Montana was able to create scoring opportunities early, and capitalized twice. Montana’s first goal came eight minutes into the game. The Griz struck again with 14 minutes remaining in the first half to take a two-score lead. Weber State had opportunities throughout the contest, as they attempted seven shots, five on goal. Montana also committed 12 fouls, but the ‘Cats were unable to take advantage. Senior forward Morgan Quarnberg was the only player to attempt multiple shots for WSU, with two. The second half was more of the same for the Weber State offense, as they struggled once inside Montana territory. The WSU defense held, as redshirt junior goalkeeper Nikki Pittman collected five saves on the afternoon. As the clock ticked away and the Wildcats saw their season slipping away, they attempted to close the gap, but it was not meant to be. The final buzzer sounded and the scoreboard read 2–0 in favor of Montana, bringing the Wildcats season to a close. As the Grizzlies celebrated their victory, the Wildcats slowly trudged off the field. 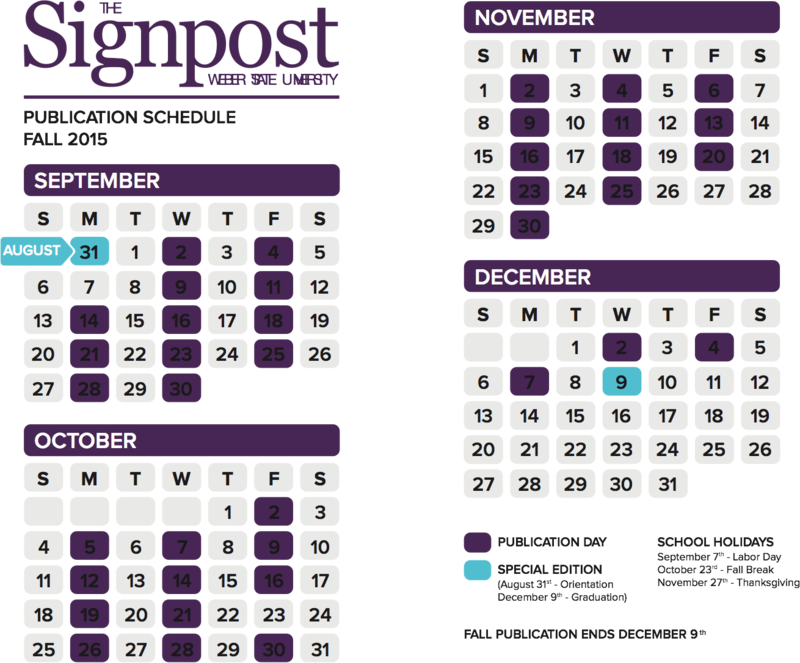 Despite the loss, WSU experienced a turnaround campaign. In 2017, the ‘Cats finished with an overall record of 3–12–3. 2018 marked Weber State’s first appearance in the conference tournament in three years, and the most victories in a season since that same 2015 campaign, when the ‘Cats won 10 games. WSU will lose six seniors to graduation. Quarnberg, forward Madison Garlock, goalkeeper Sarah MacCarthy, midfielder Chansi Crompton, and defenders Shailyn Jenkins and Olivia Glassford will all move on. With the victory, Montana clinched their spot in the conference title game. 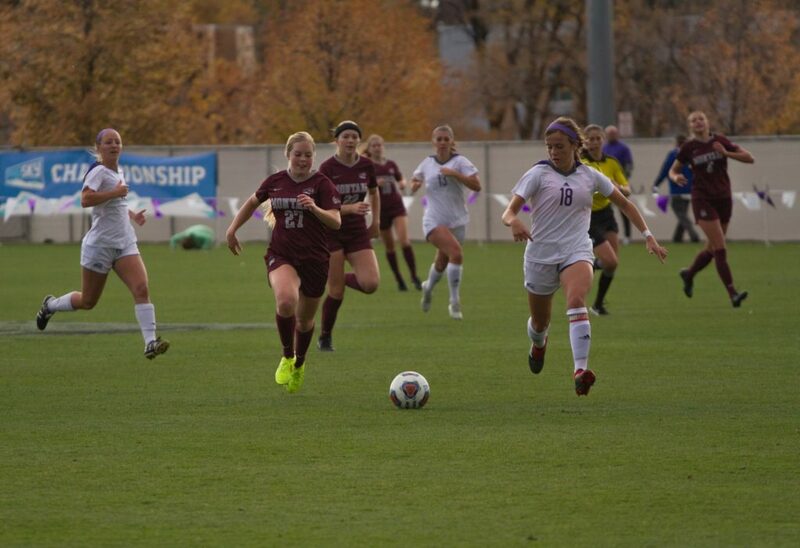 They will face off with the third-seeded University of Northern Colorado Bears on Sunday at noon in Ogden.